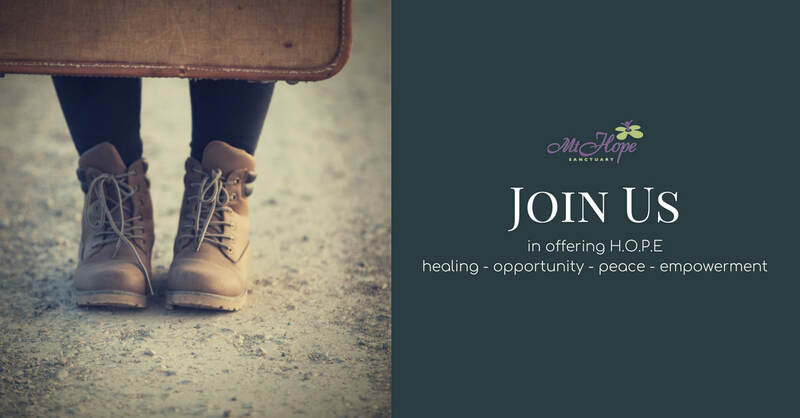 ​We are currently seeking ministry-minded women to fill the positions below. Click APPLY NOW below to apply for any or these positions. Questions? Email ericaa.mthope@gmail.com or call 620-241-1993. This position is Monday-Friday, 8 a.m. to 4 p.m. Staff members serve as a source of encouragement, prayer & hope to the residents of Mt. Hope. Staff members also ensure residents are following house policies, answer the phone, receive donations and cook the occasional meal. Click below for a full job description. Part time position of mentoring and holding residents accountable to their Plan of Hope. Part time position in charge of scheduling staff members (Mt. Hope is staffed 24/7), staff paperwork, staff meetings, trainings and more. Click below for full job description. Part-time position supporting the Life Skills Manager in teaching and guiding Mt. Hope Residents in various life skill areas as related to cooking, cleaning, laundry, time management, basic hygiene, grocery shopping, sewing and parenting. Click below for a full job description.